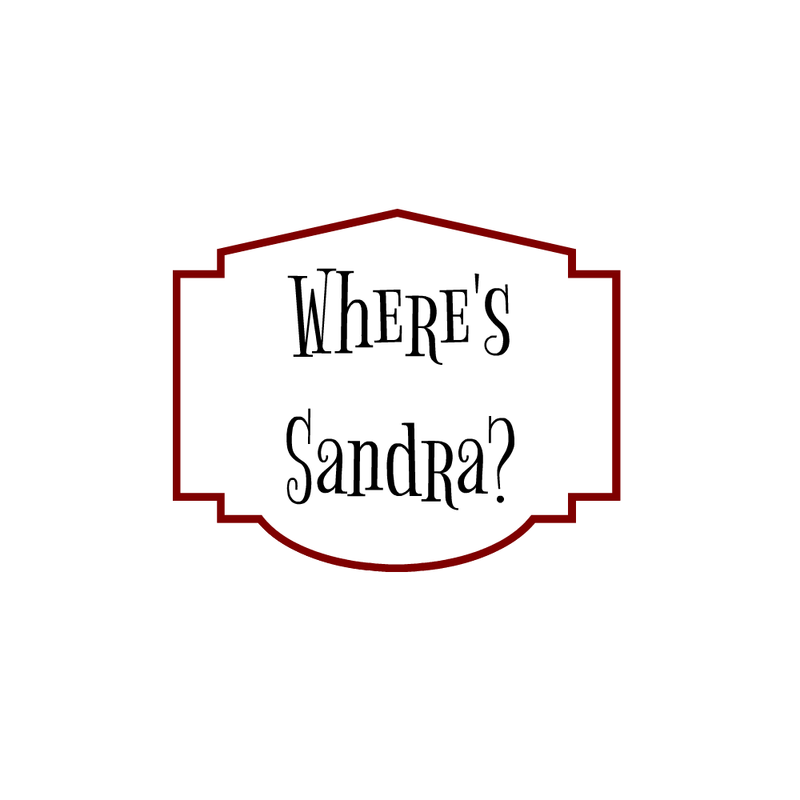 Seekerville: The Journey Continues: Where oh Where is Sandra Leesmith???? 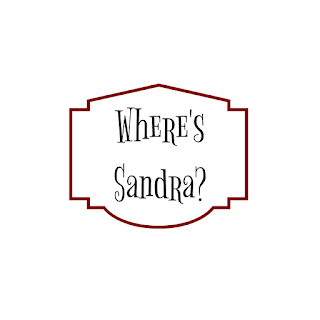 Where oh Where is Sandra Leesmith???? 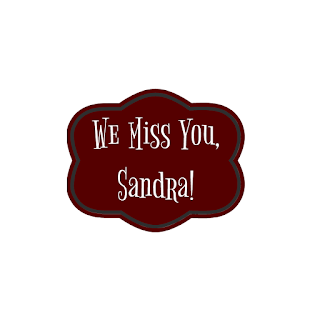 We were all so excited to have our buddy Sandra back today!!! 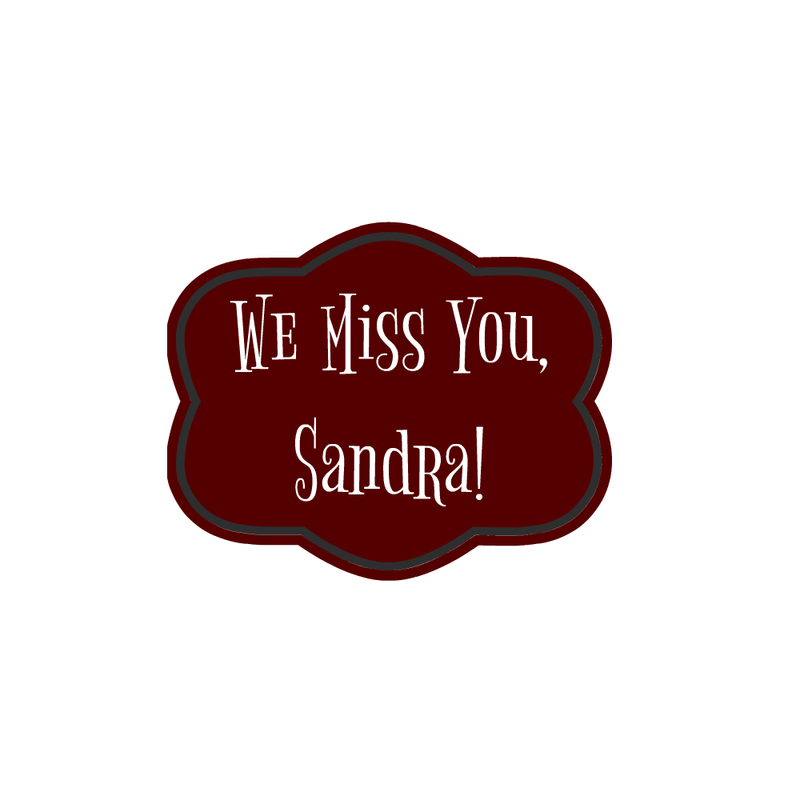 We hung signs that said Welcome back, Sandra! NO SIGH! Because Sandra was on the day because of her BIRTHDAY!!!! 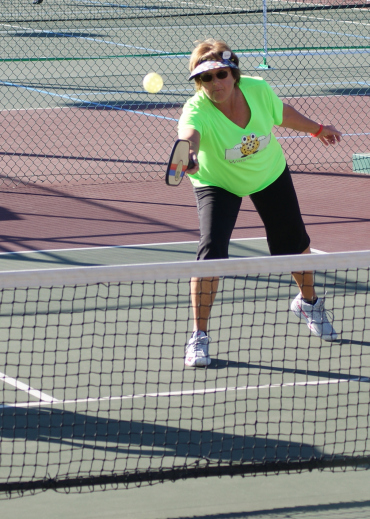 And here is the Pickleball Queen!!!!! Go Sandra! Go!!! So that's what Sandra's up to.... Living life to the full. And if you see her, be sure to wish her a happy birthday! Leave a comment to be entered for a bunch of delightful books! Happy happy birthday, Sandra! I've enjoyed following her escapades via FB, but I've missed her on here. Thanks for the food...at least I can still enjoy virtual food. The real thing, not so much. Stupid diets. Have a lovely day Ruthy and if you find Sandra, give her a hug for me! LeAnne, I agree on the diet thing and it's a good thing that we're great pretenders! We laughed when we realized that the reason her name was there was not exactly what we thought.... But this way we get to have a virtual party!!!! Hi LeAnne, Thanks for the birthday wishes. I am doing the same thing with the food. ugh. but not today. I give myself a break on birthdays and holidays. Yes, I love seeing you on FB also. Sandra came to the party!!!!! CELEBRATE GOOD TIMES!!!! Yes, our birthday should be DIET-FREE! I love birthdays. Happy Birthday Sandra. Mary, so nice to see you! Handing you some party favors and help yourself to the food! Hi Mary. Thank you. Have a super day. Good Morning Seekerville, Oh how I have missed all of you. I do see some of you on FaceBook which gives me smiles. But yes, my birthday on the calendar flubbed us up. I am sorry but in a way delighted that you all still remember me. So I will pop in this morning. Its 4:30 am here in Oregon, but I will be at the tournament all day with no computer. If I'm not too tuckered out, I'll try and pop back in this evening. Love you all. Happy writing. We love you, too. Enjoy the volunteer time, and yeah... sometimes competing takes the joy out of the experience... and can mess things up. But we're glad to see you here, Birthday Girl! Sandra, I do think that's wise. You should enjoy it! So what writing topic do y'all want to talk about today??? Re-read Ruthy's comments. No writing wisdom from me since I've retired from writing. Haven't even missed it which goes to show it was time. smile. 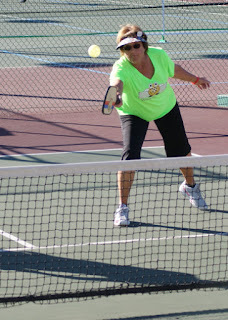 I wrote above about the pickleball activities. But she also mentioned I might have words of wisdom for elder care. ROFLOL. Boy that is one area that I do have lots of wisdom. Hubby and I both took care of all our parents and some close friends so we have a lot of experience there. But now we laugh because its each other we are elder-caring. We keep saying its a good thing there are two of us because hopefully one of us will remember what we need to do. At least we can laugh about it. We are both still healthy but its processing new stuff that gets us. This summer we needed a new phone. YIKES Trying to figure out how it worked was pure aggravation. Oh yes, we switched from Direct TV to Dish and that about did hubby in. Our solution when it involves electronic technology is always to go find a young person. chuckle. Trust me. That saves a lot of aggravation. Don't be proud. Just do it. Since statistics show that Alzheimers will strike one out of two people after age 85, there is a lot of research going on in the Phoenix area. We volunteered to help out. Hubby's grandma, mom and aunts all got it so we figured they would pick him to study. Ha. They picked me. And he is my coach. Well that will be a hoot because he forgets more than I do. But the research is really interesting. With our aging population, it will be important so we feel privileged to help out. So far all we have to do is fill out forms and answer questions about our activities. They need more volunteers so if anyone is interested, you can look up research in your area. Well thanks again for celebrating my birthday with me. Hope you all have a great day. Love and hugs. Thank you Amy. Happy writing. Sandra, you're so funny. I'm glad y'all are participating in the study! I've signed up to help with one at Emory University. We've got great studies going on here, too... even though so many of our older folks become Southerners or Snowbirds! Sandra, that's a wonderful thing. You know that it runs prevalent in Dave's family, and they're doing so many new things to look at the roles of amyloid proteins and why the body doesn't break them down... Let's kick cancer, Alzheimer's and mental illness to the curb. I want a cure for all three. Happy birthday, Sandra! Have an awesome day! Thank you Sally. Its starting out awesome. Happy writing. 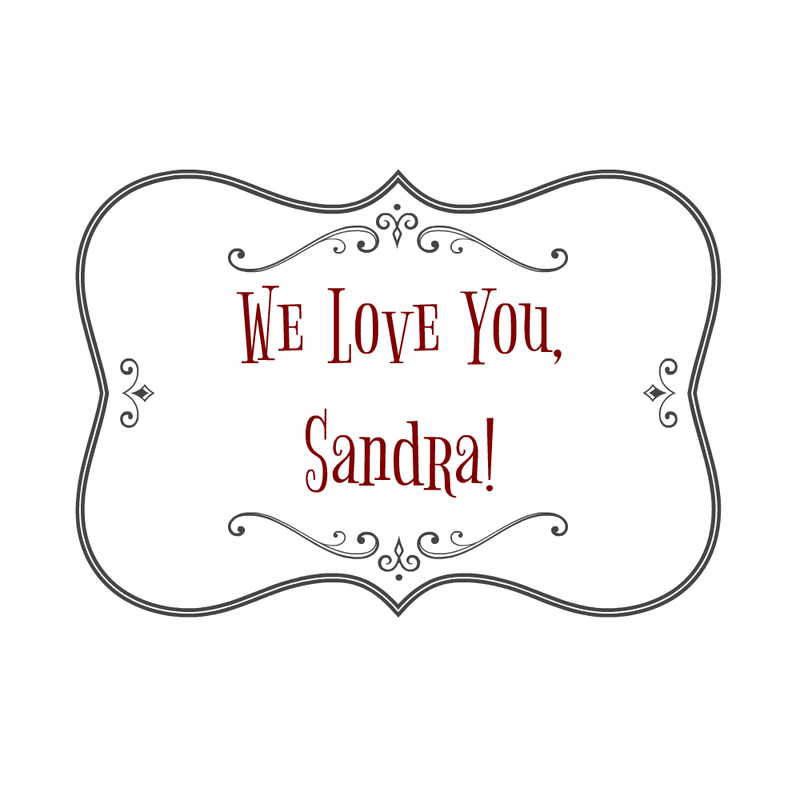 Happy Birthday, Sandra! I love surprise parties and this one sounds like it was even a surprise to the organizers. lol Enjoy your day and all things pickleball! Hi Kav, Great to hear from you. Yes, we were all surprised. chuckle. Happy reading. Kav, it certainly was. :) But that's the fun of improvisation, right? We roll with the flow! Happy Birthday, Sandra! It is nice to see you here today. I love birthday parties, virtual or not. Have a great day. I love parties too. Have a great day. Happy Birthday, Sandra! I hope it's a beautiful, fun, & blessed day for you! Hey, it's Beth! She did the Sandra memes for me! :) WELL DONE, BETH!!!! Oh, you sweet thing! Thank you! Thank you. I did have a wonderful day. Biked nine miles with the friend I went to Spain with. We had great fun. That was after the tournament. Whew. Where do I get all this energy? Wow! Now I'll never forget your birthday: it's the same as my father's was. Does this move you up into a more senior class for pickleball competition? Isn't it great having a choice between Military, Senior and AARP discounts! Are you visiting where the eagles fly? I hope you were able to visit the Tucson Book Festival. That would be a fun gathering place next year! Enjoy your birthday! Vince, she might stop back in a little while... she was hoping to see you! Hi Vince, Wow, its true. I do miss your humor. smile And wisdom. You had the best knack of saying just what I needed to hear. And yes, hubby loves all the discounts. We did go to the Tucson Book Festival. Most years I volunteer by escorting authors to their venues. So fun. My friends love it. They call it "A swap meet for intellectuals." That cracks me up. Happy birthday Sandra! Enjoy your day and may you be blessed with many more birthdays! Thanks Connie. Hard to believe how many I've had. chuckle. But today was indeed blessed. Happy Birthday, Sandra. 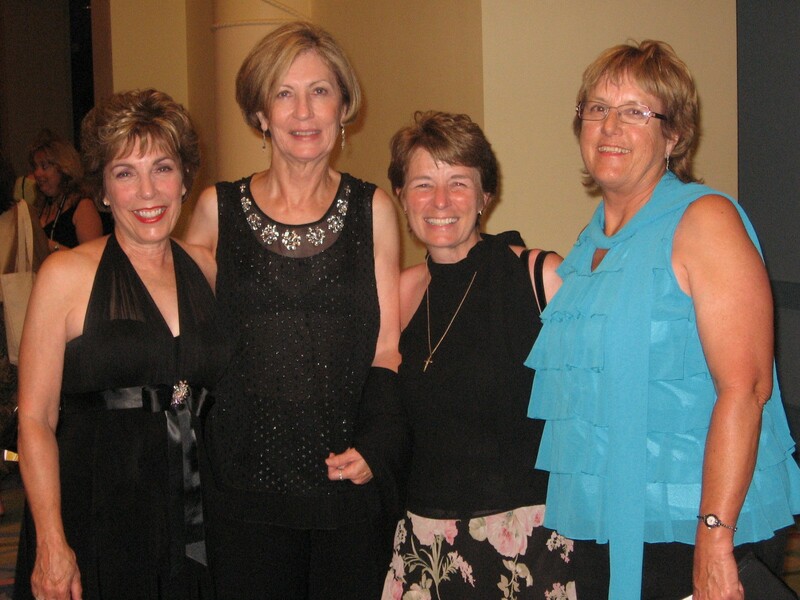 I have such fond memories of hanging our with you at RWA. 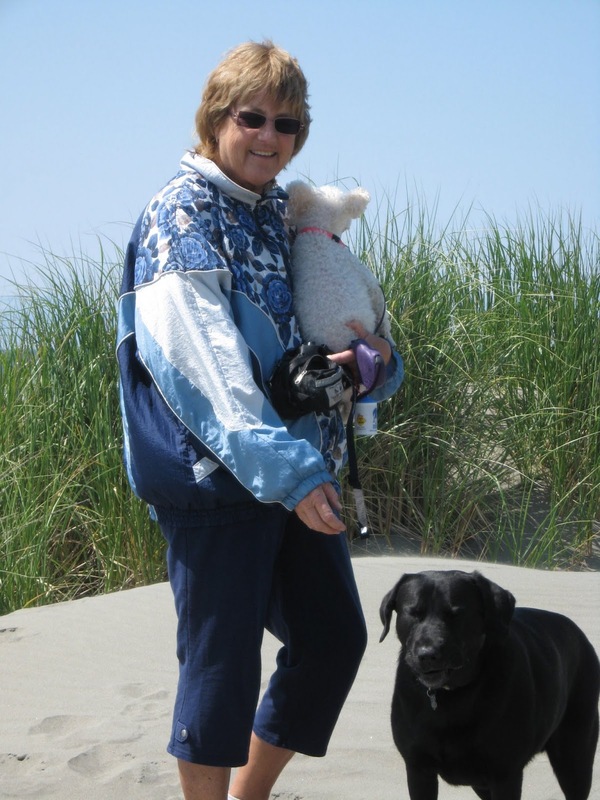 I'm happy you're enjoying retirement - such a relaxing sounding word for what sounds like such a busy life! Cate, I got to drive Sandra and a few of the gals around in Texas... and they've never let me forget it! :) Let's just say that this New York driver fears nothing in 10 lanes of Dallas/Fort Worth traffic, LOL! And Cate - About retirement. Once you get going you wonder how you ever had time to work. To this day, I still think of YOU whenever I use my Bath & Body Works Orange Ginger lotion!! 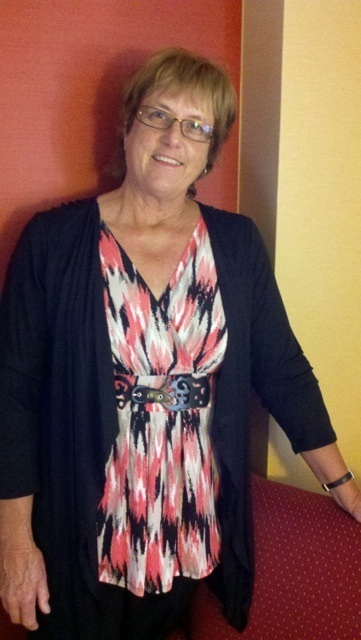 That's what the hotel had in our rooms at RWA 2013, when I had the pleasure of meeting YOU! When we met in person (finally! ), you were rubbing that lotion into your hands, and I asked you about that wonderful fragrance. You explained that we all had a little bottle of it in our rooms (Glad you enlightened me, LOL---I was so in awe of that hotel it took a while to discover everything!). Anyway, I've always associated that marvelous fragrance with you, which means I think of you often! :) Hope you're having a wonderful birthday and enjoying your summer! Now I must go buy some of that lotion!!!! Oh Patti Jo, What makes me think of you all the time is peach pie and peach jam. And I so remember meeting you. I loved the honey bear. I still have that bottle. smile. And every time I play with my cats I think of you. I do remember that lotion. It was so luxurious. Happy writing. Sandra! Happy Birthday! We're glad to celebrate in place of your great post!!! :D Love you. Happy Birthday! Hope it was fabulous!! Thank you. It was fabulous. Very busy but full of wonderful family and friends. Thanks for celebrating my birthday with me. It was a wonderful and full day. Now time to turn in because I have to report to the tournament again early tomorrow morning. Whew! Yep-definitely getting older. The mind says yes let's do it and the body groans and kindly reminds me that we don't have the energy we used to. LOL. Have a blessed weekend coming up. Again, thanks for the birthday wishes. Happy, happy birthday, Sandra! I hope you had a marvelous day! What a fun birthday post. Looks like you're enjoying your retirement! I volunteer in the church library and have for almost 40 years. Your "basket" of books will be going to the library if I win. 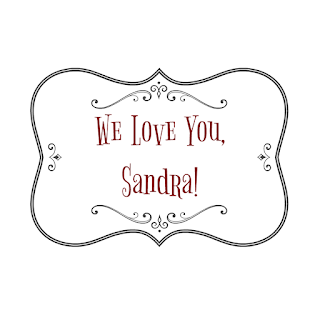 Happy Birthday Blessings to Sandra!